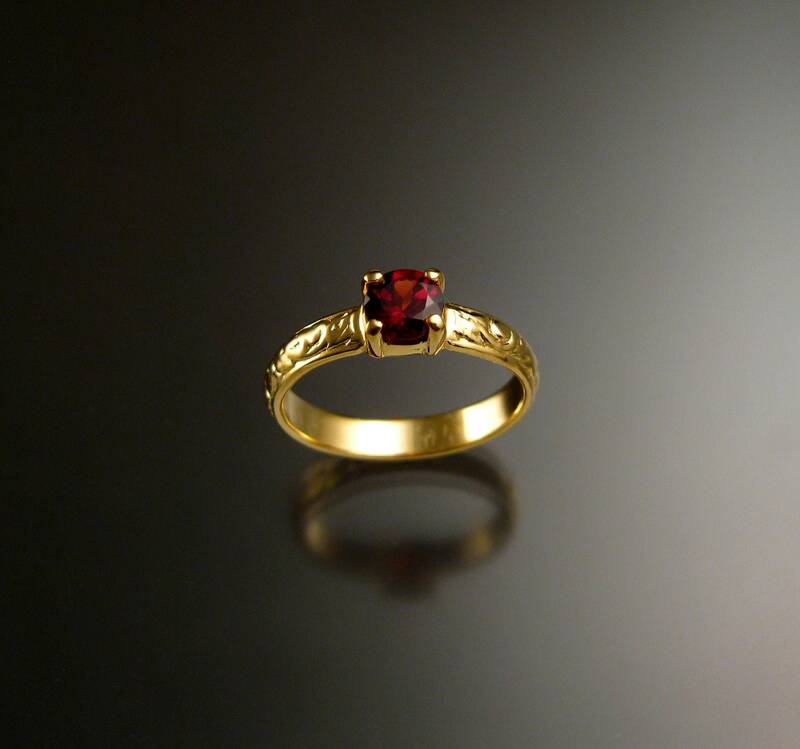 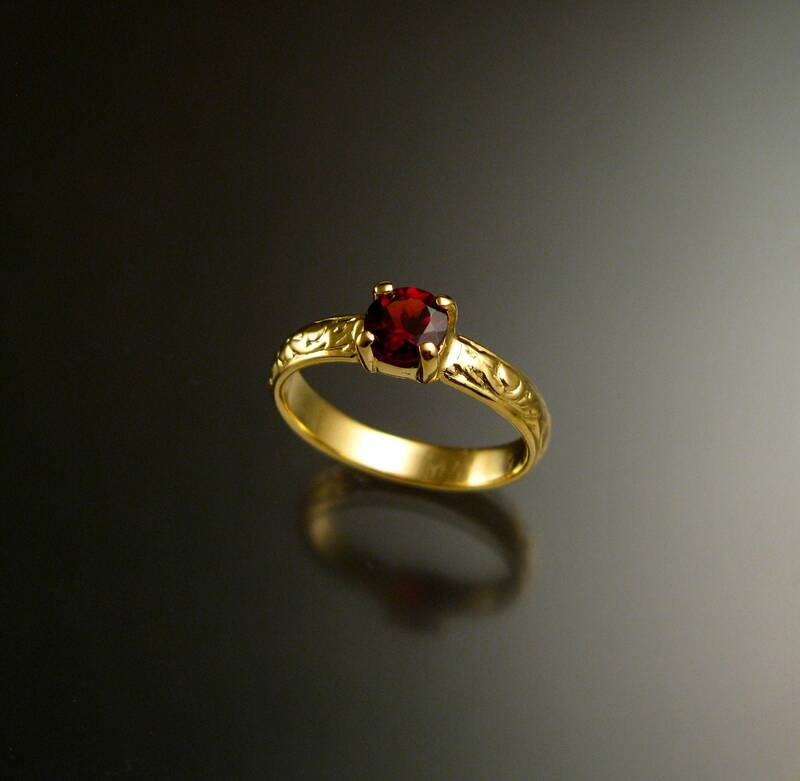 This is a beautiful Natural red Garnet. 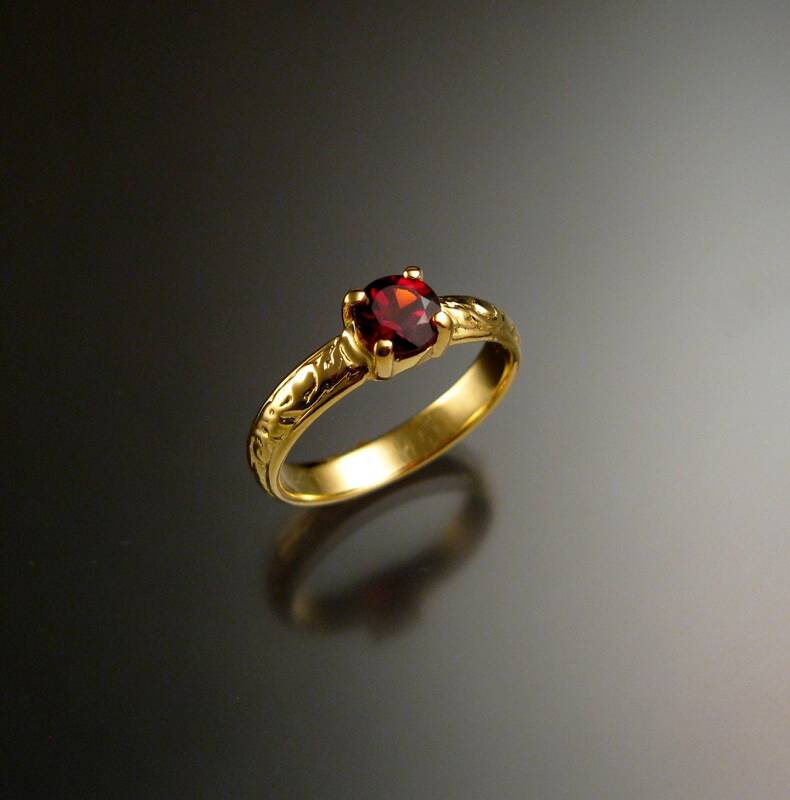 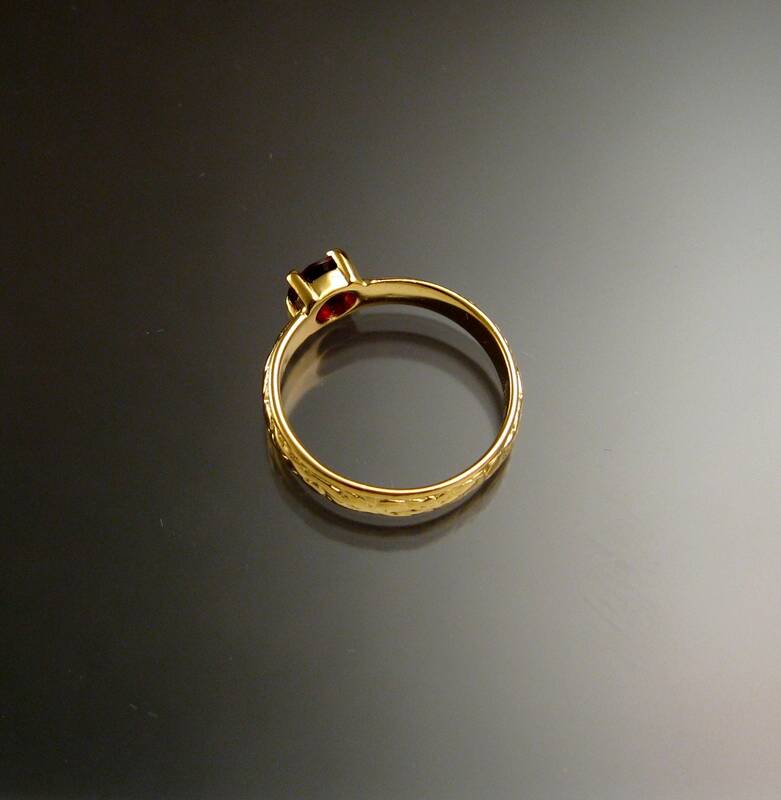 The 5 mm stone is eye clean and set in 14k Yellow Gold with 3.25mm wide by 1.5mm thick band in a vintage style floral pattern. 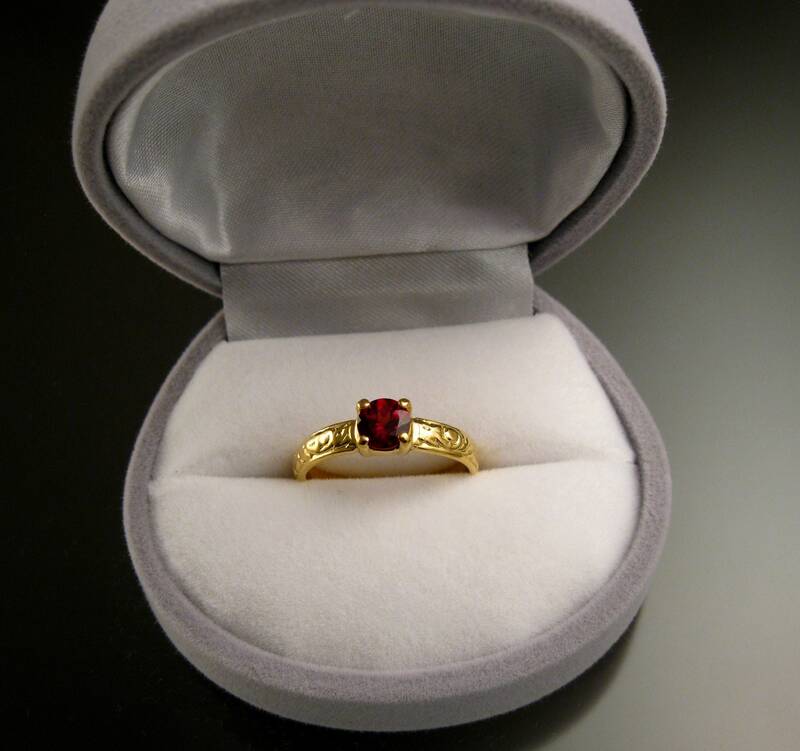 Specify your ring size at check-out.